I cordially invite you all to check out my new podcast series: The Art & Science of Sound Healing. Thus far, we have had an extraordinary line-up of guests including physicists, musicians, sound healing experts, a hypnotherapist, a power-of-the-mind expert... including the founder of this forum, Rich Goodhart. 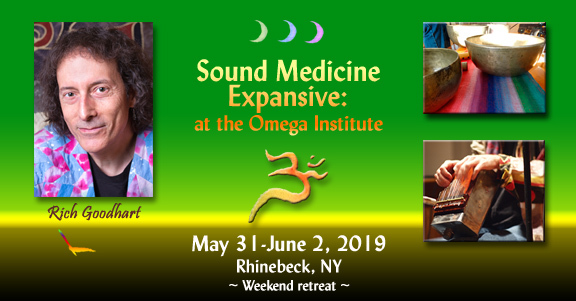 Join musician, physicist and sound healing expert Thomas Orr Anderson with an extraordinary line-up of special guests, including scientists, artists, sound-therapists and world-leading authorities in a broad range of fields. This series explores the harmonization of art and science... the subjective and objective domains... in the context of sound healing. Expect to be both illuminated and entertained, regardless of your range of interests. This series marks an historical movement of the the field of sound healing to the forefront of modern medicine. In this show, we will strengthen the firm roots of this field while eliminating and disposing of useless superstitions and pseudo-science. Thanks for posting this here, and for your good work in creating this series! Thank you for creating and sharing Thomas, much appreciated.